China's biggest political event of the year is set for Oct 18 and a key question is how the Communist Party of China plans to build on past success. The Communist Party of China (CPC) with its membership of 85 million is not just the world's largest but also one of just a handful of surviving communist parties. The CPC is due to convene its 19th Congress on Oct 18 in Beijing when its 2,300 delegates will gather at the Great Hall of the People to discuss new directions for national policies as well as to endorse the new line-up of China's highest policymaking body, the Politburo Standing Committee. The climax of the meeting will be marked by President Xi Jinping's delivery of the political report as the party's general secretary. The CPC is 96 years old. It held its first National Congress in Shanghai in July 1921 with only 12 delegates, including Mao Zedong. The meeting was convened by Mr Chen Duxiu, a Marxist academic from Peking University. Mao secured control of the party in 1935 in Zunyi city during the Long March. He was responsible for only the 7th Congress held in Yenan in June 1945. Today, party congresses take place every five years. The 18th was convened in November 2012 under former president Hu Jintao, and the meeting endorsed Mr Xi as his successor. Mr Xi has thus been the party boss for five years, having established himself as the "core leader" of China's current fifth-generation leadership. He has successfully consolidated power through his relentless pursuit of the anti-corruption campaign, his drastic reorganising and reshuffling of China's military, the People's Liberation Army, and his promotion of many younger provincial leaders to top central positions. In a sense, he has become China's dominant leader, much like Deng Xiaoping or even Mao. As China is a rising superpower, what emerges from this party gathering should also have significant implications for the outside world. In terms of new policy direction, Mr Xi wants the meeting to discuss his strategy of developing China into a xiaokang (moderately affluent) society by 2021, when the CPC will celebrate its 100th anniversary. China has already become a showcase for poverty reduction. Mr Xi has recently drummed up efforts to finish up the task of eliminating all visible poverty in China by 2021. But all eyes will be on new appointments at the highest echelons of the leadership. What is still left to speculation are the four new faces who will debut at the next meeting of the all-powerful seven-member Politburo Standing Committee. They would join Mr Xi, Premier Li Keqiang and Mr Wang Qishan. If Mr Wang were to retire, then there would be five new faces. This group will not only rule China for the next five years, but their appointments would have already involved sweeping personnel changes across the ranks. This, in turn, can also bring about policy change. Even more significant is the succession issue. It is still not certain if the meeting will follow the tradition of making public Mr Xi's heir-apparent, ahead of the next congress in 2022 when a handover is due. Mr Xi has so far not made conscious efforts to groom anyone from the coming sixth-generation leadership to succeed him. If this matter were to be delayed, it would stir fresh speculation that Mr Xi might want to stay on beyond his second term. That would violate the conventional rule of a two-term tenure for the general secretary, as set by Deng. More seriously, it would result in a new pattern of dynamic power relations at the CPC's top leadership tier - and with that, great political uncertainty. Beyond power politics, the greatest challenge for Mr Xi is how he will steer the party and the country forward to the next lap. The CPC is arguably the world's longest-ruling party. It has managed to stay in power for so long, since 1949, simply because it has been successful in adapting and reinventing itself to changes as well as in developing China into the world's second-largest economy with the world's largest foreign exchange reserves. The Soviet communist party collapsed because it had failed in reform and development. The CPC started off as a revolutionary party. Under Mao's able leadership, the CPC won the civil war and established the People's Republic of China in October 1949. Mao was a great revolutionary leader, but too ideological. He was good in mobilising people to fight battles. But his strategy of "continuing revolution", as manifested in his Great Leap Forward and the Cultural Revolution (1966 to 1976), did much to ruin the economy and disrupt society. After Mao's death, power was eventually transferred to Deng, who led China on a new path of development following his economic reform and open-door policies. This had not only led to the resurgence of China, but had actually saved the CPC from collapsing like the Soviet communist party. Deng's policies of reform and economic development have been immensely successful, primarily because of his pragmatic and flexible policies. His concept of "socialist market economy with Chinese characteristics" is iconoclastic. Thus, he said: "If a capitalist country has a stock market, why can't a socialist economy also have one?" It is Deng's policies and legacies that have given rise to China's three decades of dynamic, double-digit economic growth. In the run-up to a congress, it is quite normal for the party's general secretary to ritually tighten up ideological control over the party and the state with a lot of Marxist rhetoric. But Mr Xi seems to be much more serious on the ideological front than his predecessor Mr Hu. Some have argued that Mr Xi, politically very ambitious and already with the make-up of a strong leader like Deng or even Mao, wants to leave his own legacies much as Deng and Mao did. Mr Xi has recently made efforts to redefine his interpretation of Marxism so as to eventually become the Thought Of Xi Jinping, on a par with the Thought Of Mao Zedong and Theory Of Deng Xiaoping. It is not certain if Mr Xi, having already centralised so much power to himself, will eventually move towards a new kind of authoritarianism. 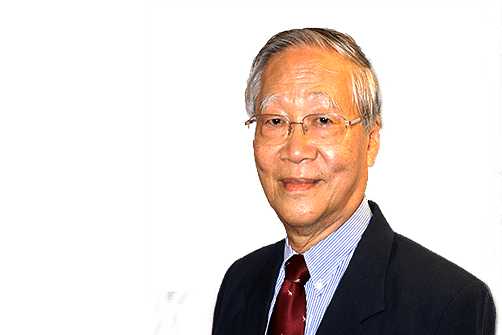 For practical policy formulation, he would do well to take a leaf from Deng's pragmatism and distance himself from the doctrinaire approach of Mao. He might eventually come to realise the limits of combining the basic tenets of Marxism with the reality of China in this new era. The preparation for this congress has been ongoing for months. The anticlimax will be when Mr Xi delivers his political report. After that, his new challenges begin: How to build on the party's past success in reform and economic development? For the economy, China has chalked up the most impressive growth for over three decades. What is left for Mr Xi is how to manage the economic slowdown amid rapid structural change and macroeconomic rebalancing. China's economy formally ended its double-digit high growth in 2012 at 7.7 per cent. Growth has since decelerated gradually in a small fraction of one percentage point a year - last year still registered a reasonably high growth of 6.7 per cent. In fact, growth for the first half of this year had rebounded to 6.9 per cent, the highest in this region. With an increasingly larger base, the 6.7 per cent growth of last year actually generated more gross domestic product (GDP) than that of 2012, when growth started to come down. Yet, the international media has wrongly and persistently labelled China's present lower growth as a "big slowdown". Ironically, Mr Xi himself was among the first Chinese leaders to openly embrace China's lower growth as a "new normal", something he said was "not really so scary". Initially, China's economic policymakers extensively used "demand management" (pro-active monetary and fiscal policy) to maintain growth. But that also led to rapid expansion of credit and loans, and hence, the problem of rising debt. Mr Xi's economic team under Mr Liu He soon recognised the perils of such debt-fuelled economic growth. Mr Xi then introduced "supply-side" structural reform measures to deleverage debt and to reduce overproduction. In this way, Mr Xi successfully stabilised the economic slowdown momentum. In the meantime, debt has continued to rise to 260 per cent of China's GDP. But the government treated the rising debt as a long-term issue, to be gradually digested with continuing economic growth. Mr Xi's other long-term concerns include how to promote innovation for the emerging new economy. As China's sources of economic growth have been significantly restructured from manufactured exports to domestic demand along with rising service activities, continuing technological progress will be needed to propel future growth. 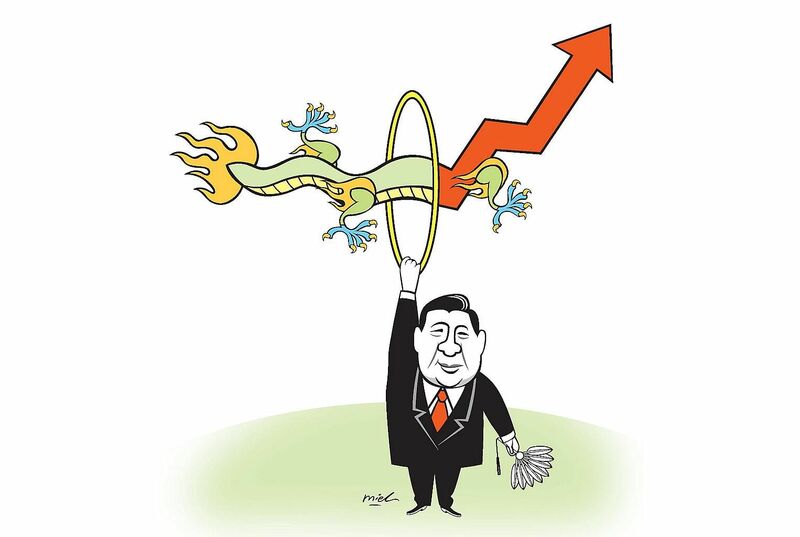 Compared with sustaining economic growth, Mr Xi will find his economic reform agenda far more challenging. China has indeed carried out reform in many economic and social areas. As is often the case, the remaining area of reform, or the unfinished business of reform, is usually far more formidable. This is particularly so for financial sector reform and state-owned enterprise reform, with the two being interrelated. They require much stronger political will. It seems that when confronted with a problem, Mr Xi's first reflex action is to resort to the party apparatus, usually by tightening up its control mechanism. Not surprisingly, the party has recently extended its role in the management of all major state-owned enterprises. China is still a party-state, ruled by the CPC. When it comes to market reform, one need always bear in mind that even though the role of the market has been expanding rapidly, the state is still there and will always be there. •The writer is a professorial fellow at the East Asian Institute, National University of Singapore.